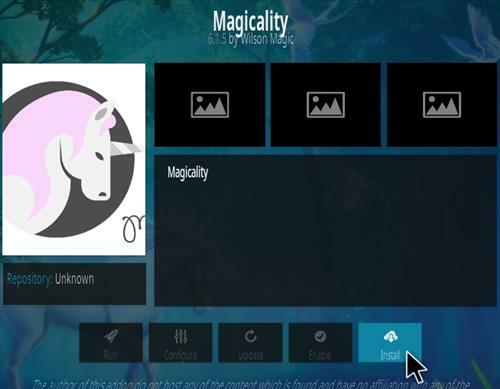 Magicality is a Fork of Neptune Rising Addon from Magicality Repository. 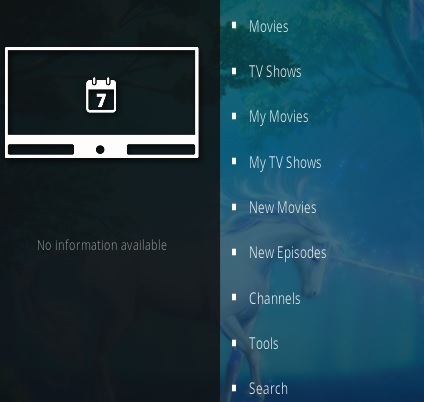 It has movies and TV shows with the same menu system. 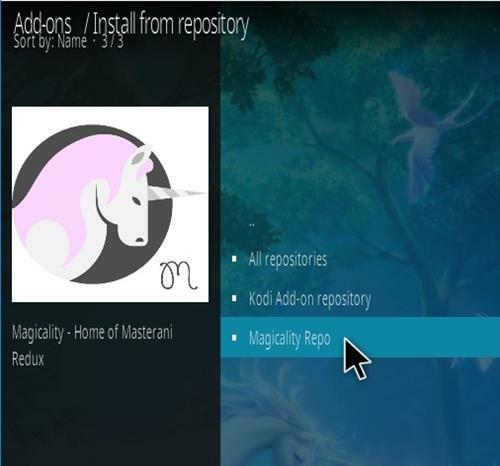 Neptune Rising and Placenta Addons are also available from the Magicality Repository with the steps below for how to install it. I don’t understand “repo down”. 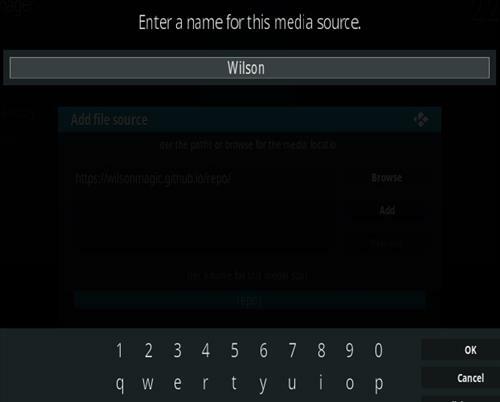 Is wilson gone for good or just temporarily offline? The addon has worked well for me and I hate to see it gone for good but if it is, I’ll move on and say thanks for it while it lasted. 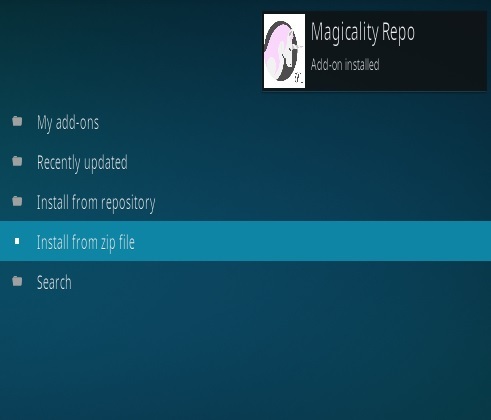 The Repo is up but has removed Magicality , Neptune, and Placenta. It now only has some Anime Addons. Thanks for the information. I guess it’s time to move on to something else. What else can you use ? So if the repo is down, is it “down” down or is it possibly coming back “up”? The only options showing for me are Dramatic, Dubbed Anime, and Masterani Redux. Is anyone actually seeing anything different or is it jus me? Jack Ryan – anyone else cant get any working stream? Watched first 3 episodes on Neptune Rising, than when I came back after a week or so couldn’t get any stream for Jack Ryan anymore ( except Watchseries – which doesn’t work ). 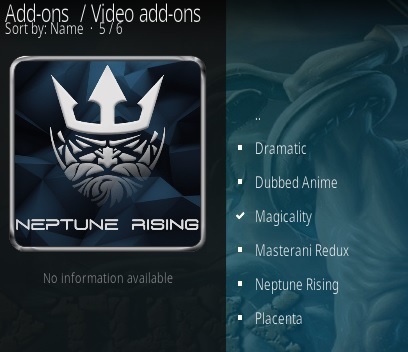 I tried with Neptune Rising, Placenta and now Magicality – same result, no streams to watch ) Other series works fine. Am installing on Android box. 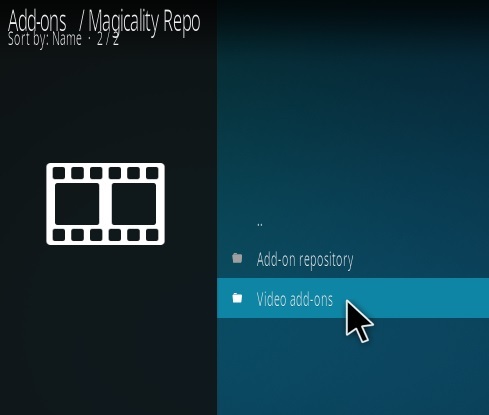 No sign of Magicality in Video add-ons. It also tells me that my Neptune rising is incompatible. Help? 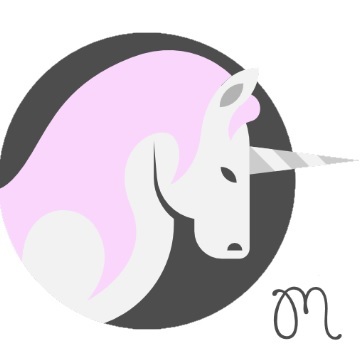 Haven’t gotten Magicality to work as of this post. This addon stinks. This isn’t there only Neptune rising comes up on the add on. 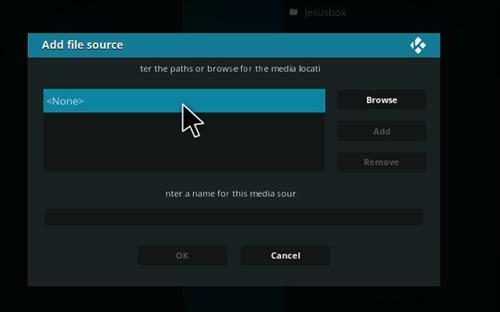 What hardware and kodi version are you using? 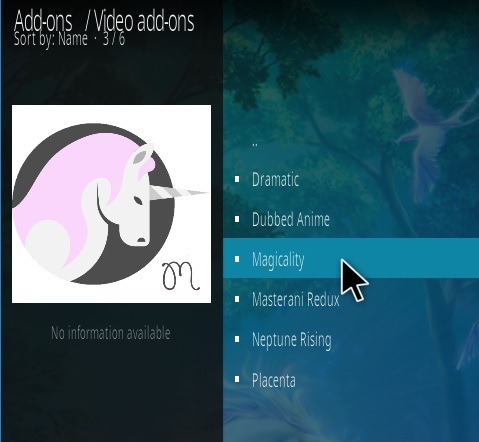 Magicality repo has six Add-ons dramatic, dubbed anime, magicality, masterani redux, neptune rising, and placenta. All install on a PC running kodi 17.6 with no problems. eposode 1/2/or3 see if it works , no stream on this, use to work placenta now doesn’t. Thanks, but dont have Netflix, used my free month, movies seem to work. eposode 1 is working. It used Gowatch/Rapidvideo. Thanks, got ep 1, 2 was hard, work 3 not at all, the same only on gowatch/rapidvideo out of the 50 choices! installed ok, tv shows on on all options , no steam available. tv box, watchseries, etc… plenty of options , but no stream availble? This is awesome thanks bunches! 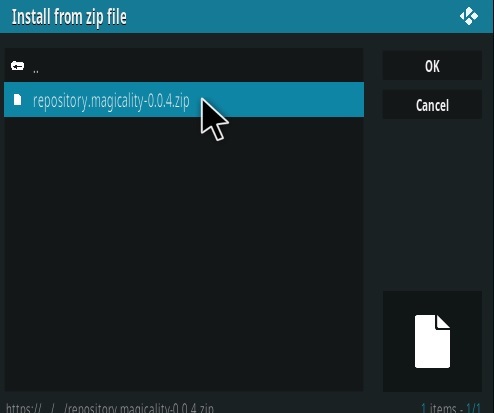 I got to the Install from Zip File section and it’s say8ng Fails to Install. Went back and checked it was typed in properly and all is correct. What could it be? Any help would be appreciated at this point- pulling my hair out already! Will not install add-on – states “failed to install a dependency”. Have followed the new address. Any update? Thank you for the work around! It installed perfectly but when I click on the categories, only the movie category has anything. I had the same problem with Excodus so I thought Magicality would resolve this. What can I do? Thank you for this, it filled a few holes after Blamo. When someone finds a way to get back Squad Control, it would be appreciated if shared. However, with some snooping, I found that the content of Watch Nixtoons, is about the same identical selection. The Magicality repo is aleady kaput! 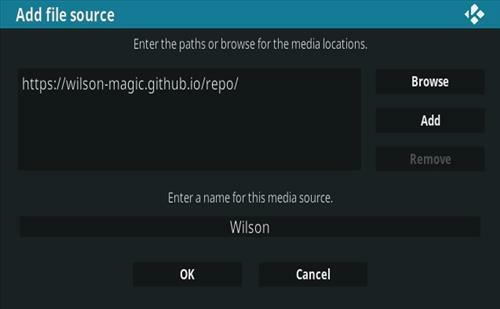 The URL changed to “https://wilson-magic.github.io/repo/” post has been updated. 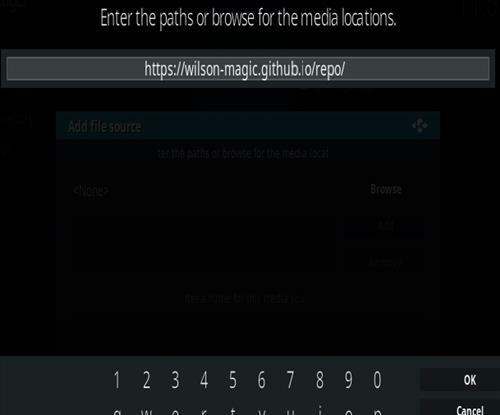 Well it looks like neptune rising`s author was blamo so the fork magicality makes sense, placenta had different authors so i hope that continues okay on this repo, thanks for the update, great site. Dude thanks for posting this when you did. Looking for a working alternative repo for Placenta. Really helped me out.